Science denialism, a form of pseudoscience, is everywhere these days. There’s the oft-discussed vaccination denialists who refuse to vaccinate children because they believe that vaccines cause some condition (usually autism), and Big Pharma hides evidence. Or AIDS denialists who believe that HIV doesn’t cause AIDS. Or global warming deniers who think that either global warming isn’t happening or, if it is, it’s not caused by human activities. Or evolution denialists, like Ken Ham, who think that one hundred years of scientific research can be ignored for a book that was written 5000 years ago to help illiterate pastoral farmers understand the natural world. It’s not just science, of course, there are Holocaust deniers, who think that no Jews were killed by the Nazis. There are even 9/11 deniers (usually called truthers) who think that Big Government (probably in league with Big Pharma) is hiding the truth about what really happened on 9/11. It’s relatively easy to spot someone who has taken a denialist standpoint on any issue. John Cook, in a 2010 article, The 5 characteristics of scientific denialism, lists key indicators of a denialist point-of-view. Cook’s Skeptical Science blog focuses on global warming denialism, but it is fascinating how all denialists use the same playbook to make their weak cases. It’s almost if you become an expert in one type of denialism, you have the foundation to deal with every kind of denialism out there. Other than a few words here and there (and different players), both vaccine and evolution denialists say almost the same thing. It’s certainly a case of deja vous all over again. So what are those five signs? Admittedly, this is usually the most popular gambit for denialists. 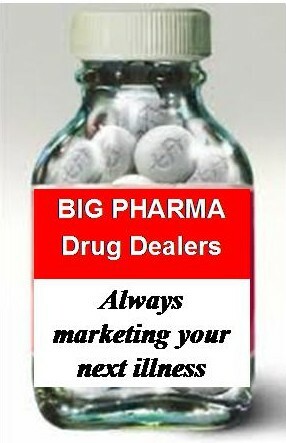 How many times do we hear that Big Pharma “blocks the real studies”? Or Big Pharma “is just out to make money, so they suppress evidence for the miracle celery juice diet.” OK, one of the more annoying facets of these fallacious arguments (sometimes called Appeal to Conspiracy) is that if the miracle celery juice diet actually worked, don’t you think that Big Pharma would then conspire with Big Agriculture and Big Chemical to create a patent protected celery GMO product, fortified with high fructose corn syrup so that it tastes better, to make billions? You can’t have a conspiracy if the conspiracists are too stupid to make even more money. David Gorski calls it the Pharma Shill Gambit, but it can be used with any conspiracy. According to Gorski, “The “pharma shill” gambit, like other varieties of ad hominem or well-poisoning rhetoric, conveniently frees defenders of “alternative” medicine from having to argue for their favorite remedies on the science and clinical studies supporting them (which in most cases tend to be badly designed or nonexistent). It’s a technique that’s not just limited to them, either. Anti-vaccination cranks and mercury/autism conspiracy theorists like it too…” So, whenever you hear about a conspiracy, it’s the moment the skeptical radar needs to go full blast. This is what some people call “research mining”, similar to “quote mining.” It is a form of confirmation bias, where the denialists find the research that supports their beliefs, while ignoring the vast quantity of higher quality evidence that debunks their beliefs. Much of the cherry picked evidence is published in low impact journals and are often excluded by large meta-analyses, such as Cochrane Reviews, because of their low quality statistics or, even worse, experimental design. Many pseudoscientists try to establish research standards that are impossible to meet. For example, evolution denialists will often demand that scientists cannot possibly know anything about evolution since it cannot be observed in the past. Of course, this denies the ability to make inferences that are, themselves, scientifically based. 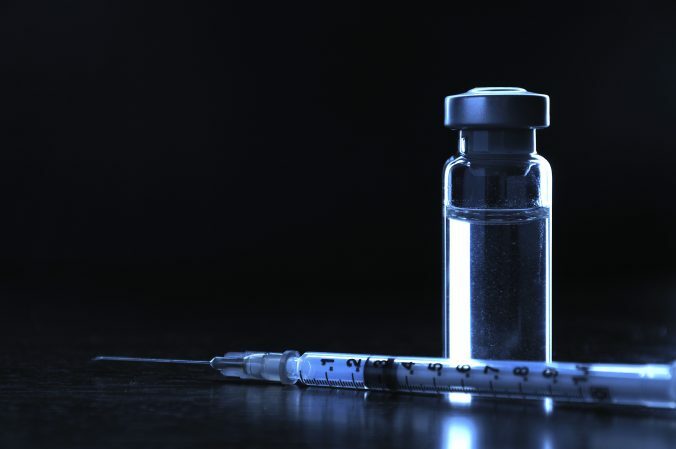 Anti-vaxxers demand huge randomized clinical trials to “prove” the effectiveness and risks of vaccines. Yet to structure one like that would requires hundreds of thousands of enrollees, half of which would not receive the vaccine. That’s not ethical, keeping ½ of children from receiving vaccines against the most horrifying diseases. Science has developed experimental and statistical methods that allow us to have high-confidence in results. But remember, science does not work in absolutes but in confidence and predictions. A true skeptic or scientist is always willing to review high quality evidence to revise a conclusion. But it should not accept weak evidence to form fallacious conclusions. Logical fallacies include the use of strawman arguments, where the denialist attempts to “win” an argument by bringing up irrelevant facts or positions for the other side. For example, the US Environmental Protection Agency (EPA) determined in 1992 that environmental tobacco smoke was carcinogenic. This was attacked as nothing less than a ‘threat to the very core of democratic values and democratic public policy’ by Big Tobacco. Just use this checklist whenever you run into a denialist position to confirm whether it is, in fact, a denialist position. I’ll even make it easy for the denialist side, by agreeing they have to meet all five to be considered a denialist position. It won’t be that hard to root them out.